Pelle Lindberg, one of the school’s two founders and acclaimed teacher and educator, left us suddenly spring 2006. In honor of Pelle’s memory a fund was started to each year award a grant. 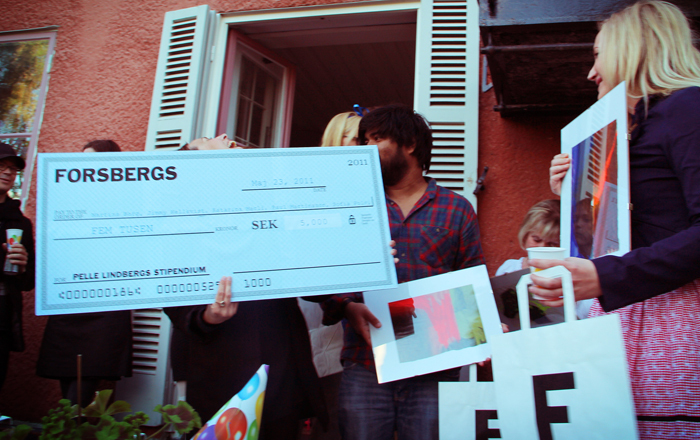 An award of SEK 5,000 goes to a graduating student at Forsberg’s School to encourage artistry, humor and creativity in Pelle’s spirit. Contributions to the fund can be deposited in the account SEB 5215-3017858. Project Ikea by the copywriting class of 2011. Information Overload by Petter Nilsson & Daniel Hilding. Tryckcykeln by Johan Undén & Calle Enström. Project Idébrottning by Anders Gröndal.